Jesse Poole/Staff photo. Gloucester Daily Times. Gloucester: Broadway actor and dancer Steve Geary of Gloucester revisits where it all started for him: Miss Tina’s Dance Studio. 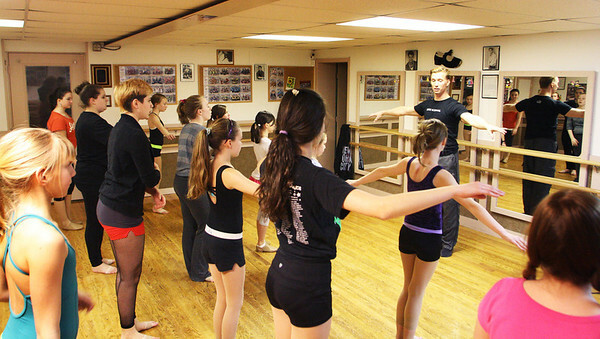 Geary, who is currently touring with The Addams Family show, which is currently playing at Boston's Shubert Theater, leads a group of young dancers in warm-up routines.